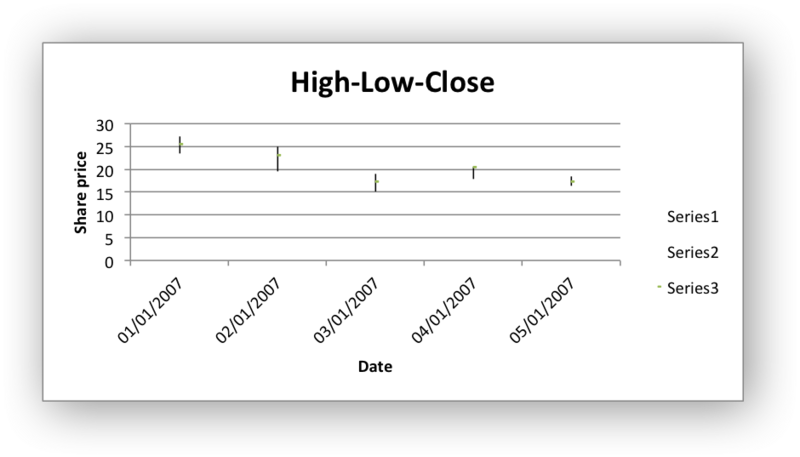 Example of creating and Excel HiLow-Close Stock chart. # An example of creating Excel Stock charts with Python and XlsxWriter. # Add a series for each of the High-Low-Close columns.